Do you remember the last time you went home from work and didn’t feel like you had a boxer pummel your back for 8 hours? Me neither. After getting off work I have often thought of throwing myself under the wheels of the same bus I take to work, for no other reason except the hope that getting tangled up beneath it might actually improve the shape of my spine at this point (chuckles). In all seriousness, the constant dull pain and back aches are really too much to take sometimes and can really distract you when you are trying to work and significantly affect how productive you can be. But the worst part is how even after you go home you are reminded of how much it hurts even from sitting up too soon sometimes. The easiest way to lessen these grievances and address the problem head on is to just get yourself a task office chair. 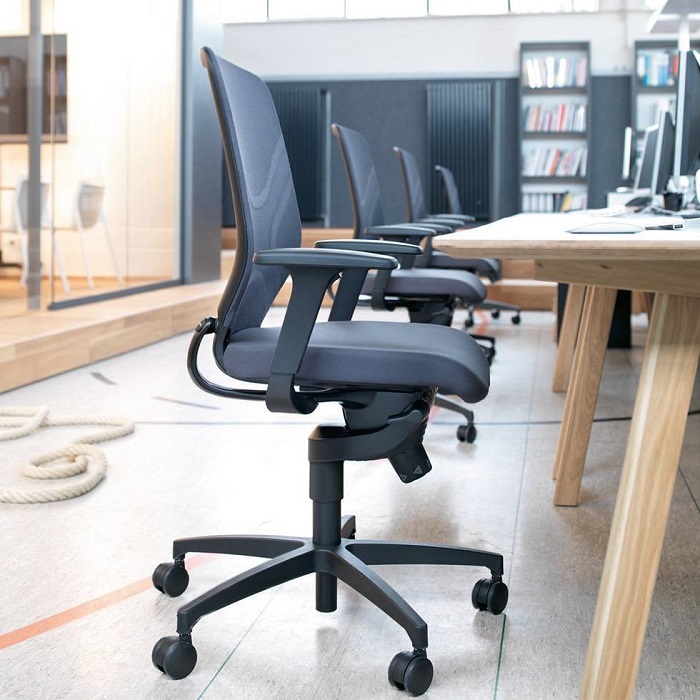 The best thing about the task office chair is probably the fact that they come in so many different sizes that they can be perfect for just about anyone’s height and weight. They can also be easily adjusted and are made to allow you to either keep a proper posture for the entire day or even let you lean back while still keeping your spine in its natural position. If you are given a choice, always go for a model with a wider seat with more padding and with mechanism that can allow you to adjust the height and back exactly to your liking. These seem like relatively common features any chair should have, yet you would be surprised how many don’t, even though they are vital for your personal comfort while you are at your desk. After you get yourself a better chair, try to still keep a bit of discipline while you sit and not become so lax that the chair has to do all of the work in keeping your posture. Also, remember that the position of the feet is much more important than people think. Keep the left and right parallel and try to adjust the chair’s height so that your knees are roughly at about a 90 degrees angle. There really are many different ways that you can fight the constant pain that you run into day in and day out while at your desk, and all you need to do is try and adopt a good posture at your desk that is somewhere between slouching and practically laying on the chair, and of course, get yourself a better quality chair.